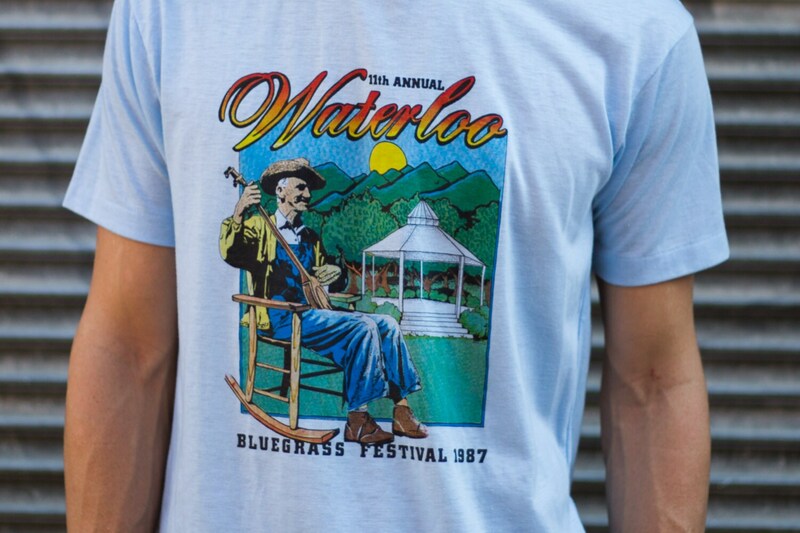 This is a very cool looking vintage men's "Fantasy Shirts" brand 11th Annual Waterloo Bluegrass Festival t-Shirt from 1987. It features a grandpa in a rocking chair playing an instrument. 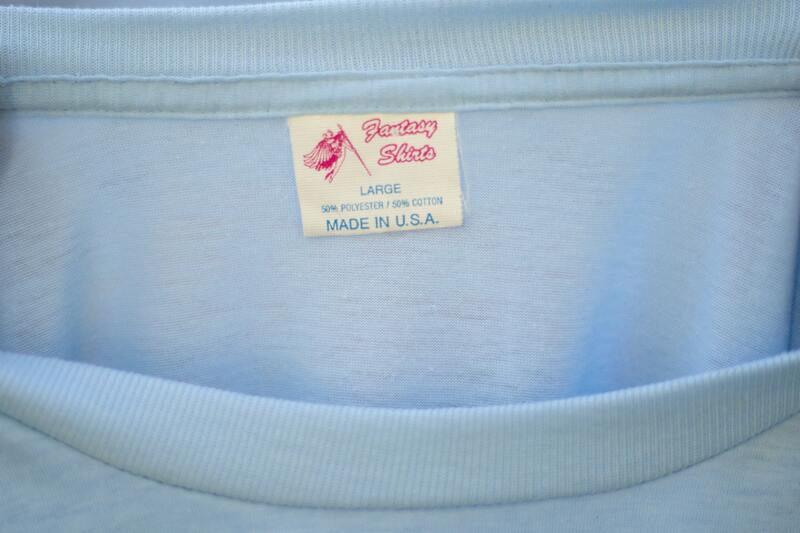 It is a nice soft robin's egg blue colour. 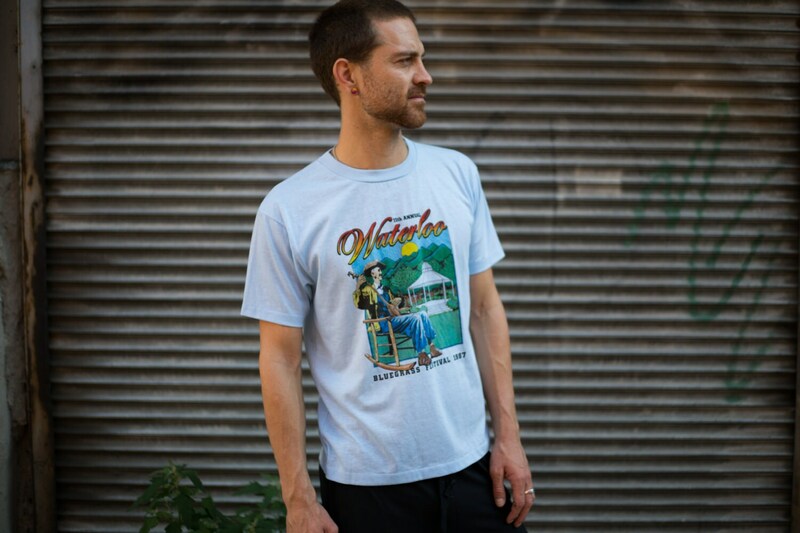 It's a unique country folk festival shirt! Tag reads Large but fits medium also.